The Chateau Bethlehem is one of the most unusual hotels in the world, serving as an innovative practical test at the same time: guests to the castle encounter talented students from the hotel trade and discover new ideas in hospitality. To say nothing of the way the place is furnished. The operator is the internationally renowned Zuyd Hotel Management School in Maastricht, which managed to secure the services of a number of well-known designers for the reconstruction of the historical building. Sleep under a swimming elephant, wake up in an autumnal forest, cool modernity and an elegant country house style: every room is a stunner. It's all thanks to the Dutch designers, full of ingenuity. For the 26 bathrooms, the planners made use of Hansgrohe's extensive range of products. Guests will discover international designer collections such as Axor Urquiola or Axor Citterio. Successful Hansgrohe products such as the Raindance shower or the showerpipe shower system guarantee a truly pleasurable shower experience for guests. The building includes a 130-seat restaurant, where guests are pampered with an extensive menu. You will also find conference rooms and a bar. The teaching hotel opened its doors to "real" guests in the summer of 2010. 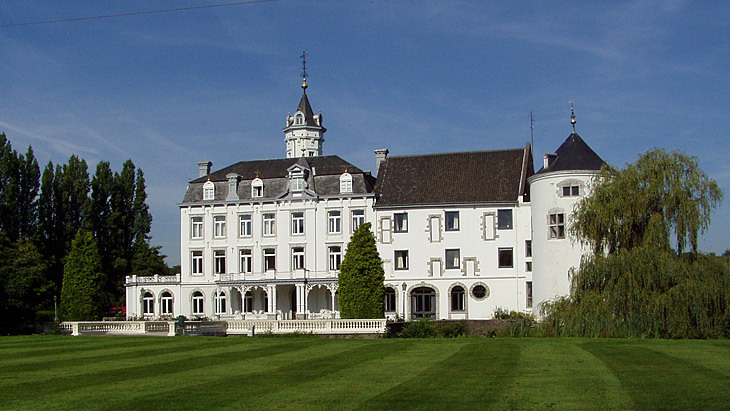 The students, who are hoping to attain their bachelor's or master's degree at the Hoge Hotelschool Zuyd Maastricht, undertake managerial and day-to-day activities, while studying at an exceptional location. They learn in particular the importance of design and innovation in their industry practice.